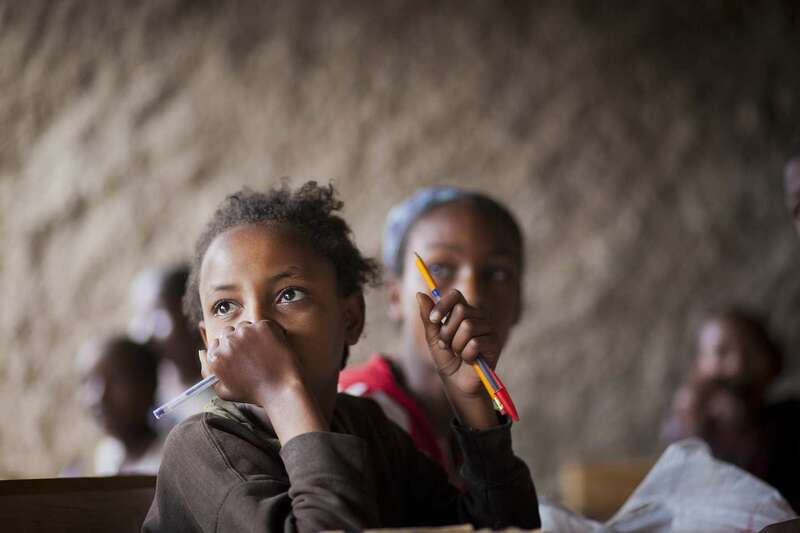 Bereket Brihanu, 11, listen to her teacher at Speed School class in Boricha in Oromia Region of Ethiopia November 29, 2011. Bereket, oldest of 3 siblings, dropped out of school at 2nd grade 2 years ago when her mother died. Her father is a laborer, and single income for the family could no longer afford 25 birr contribution fee for school (about 2 US dollars) and school supplies. After her mother died, she was taking care of her baby brother at home. When she dropped out, she was not expecting to go back to school, started seeing herself as a mother of her younger brother. "I was so happy to be back in school with children with my age, my friends," she said. She wants to become a pilot because she once saw a female pilot on TV show.